Google+, the search giant's failed social network, will finally be laid to rest on Tuesday morning. Launched in 2011 and competing with Facebook and Twitter, it was Google's fourth attempt at a social network. However, Google also described it as a "social layer" designed to work across all its services. Its key features included the ability to sort friends into "Circles" and make group video calls with "Hangouts". "I click on my newsfeed and see tumbleweed blowing through the barren, blank page," wrote Paul Tassi, for Forbes, within weeks of the platform's launch. "It's a vast and empty wasteland, full of people who signed up but never actually stuck around to figure out how things worked." "Google+ was destined to fail from day one," says Matt Navarra, a social media consultant. "Issues with an unwieldy and changeable UI [user interface], being the latecomer versus giants like Facebook, a disjointed user experience, and rumours of internal disagreements about how Google+ would be leveraged" all affected the platform, he says. Where Facebook had "likes", and Twitter had "Favourites", Google+ had the cumbersomely branded "Plus One" button. "If you liked this post, make sure you've Plus-Oned it," said nobody ever. 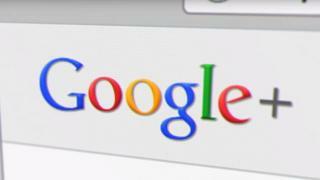 In a bid to boost engagement, Google "integrated" the social network with services such as Gmail. Then, in 2013, it wrapped its tentacles around YouTube. The move attracted fury from prominent video-makers who felt their success was being used to prop up the struggling social network. Suddenly Google+ appeared to be alive with activity, as YouTube comments, "liked" videos and app store reviews were automatically cross-posted on the platform. Google boasted that the platform had 500 million users - but how many were engaging? "I look at the profiles of the family and friends I invited to join and find that their presence in Google's shiny new world ranges from sparse to non-existent," wrote BBC News technology correspondent Rory Cellan-Jones in 2011. "The big question is whether the 750 million people who currently use Facebook and the 100 million who are signed up to Twitter will decide they need to move - or need yet another social network in their lives." In 2015, Google+ had a makeover designed to focus on "communities" but this also failed to ignite interest in the platform. "The consumer version of Google+ currently has low usage and engagement - 90% of Google+ user sessions are less than five seconds," it said in a blog. Google+ has now been commemorated on both the Google Graveyard the Google Cemetery websites, which keep a record of the search giant's failed projects. The Google Cemetery site was created by Naeem Nur "to make my friends keep on working on their new ideas, even if they fail".